October birthstone, soft pink opalite pendant with a small cluster of faceted amethyst briolettes, hanging on a sterling silver necklace. Very elegant with a subtle shine and pastel colors. The pendant is 35mm long. The opalite is about 12mm x 22mm. The opalite is soft pink, faceted briolette. 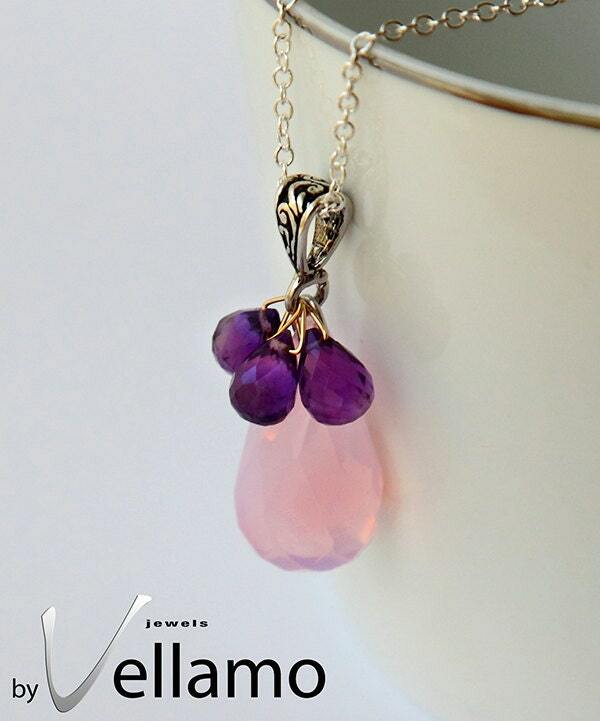 It has a small cluster of 3 natural amethyst briolettes.